No, not Bruce Leroy… and over the past few years not Tiger Woods either. Now a few years removed from his extra marital affairs and “revamping” his swing, is Tiger ready to once again conquer the pristine course that is Augusta National? Or has the field and the “young guns” of professional golf caught up and surpassed Tiger Woods? A month ago I may have said Tiger had a 50-1 shot of winning The Masters. But after winning two weeks ago for the first time in years, I can’t say I’d bet against Tiger. Now obviously, the Arnold Palmer Invitational is not The Master’s, nor does it bring the same pressure and stress. But, is Tiger back on track? Over the past few years Tiger would at times have glimpses of the old Tiger, but he never could quite put it all together. If his driver was working, he couldn’t make a putt to save his life. And if he was sinking putts, his drives looked similar to that of a weekend hack playing “military golf”. But two weeks ago at the Arnold Palmer Invitational it looked like it was all coming together for Tiger. He was putting drives in the fairways, hitting greens, and displayed that Tiger-esque putting touch that the world used to expect on a weekly basis. 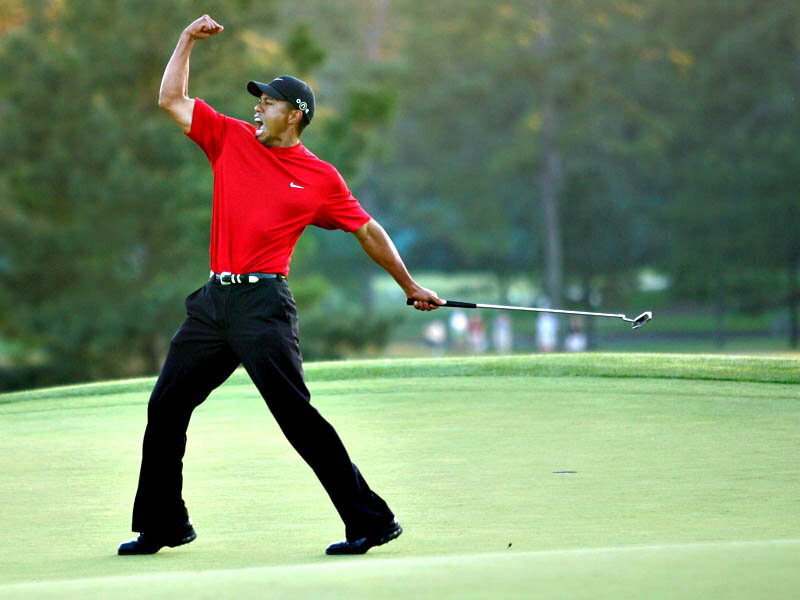 However, is it just the physical talent that kept Tiger on top of the world for so long (no pun intended)? Or was it the mental intimidation factor he used to have on the rest of the field? Tiger used to have an aura about him that seemed to leave other world class golfers begging to be paired with someone else… anybody else… for the final round of a tournament. Thousands of fans following and breathing down your neck, watching and analyzing every shot. Even the most world class golfer could fold up under that pressure… and they did, time and again. However, over the last couple of years that mental killer instinct seems to be “extinct” from Tiger. But does that one victory bring it all back? Is Rory Mcilroy shaking to the point he’s going to cut himself shaving the three hairs he can now grow on his chin? Is Phil Mickelson’s psoriatic arthritis going to flare up because Tiger is prowling again? I tend to think not… but then again, this is Augusta… and this is where Tiger thrives. Regardless, no one is happier that Tiger has won again than the TV execs. Numbers prove when Tiger is winning, people are watching. With that being said… there should be a lot of eyes on Tiger this week. And not just those eyes watching on a TV. This entry was posted in life, sports and tagged Augusta national, golf, sports, The Masters, tiger woods. Bookmark the permalink. Nice posting, although it was the Arnold Palmer Invitational at Bay Hill that Tiger won last week, not the Chevron which was the other tournament he won. I agree though, I think he will be tough to beat this week! Thanks Man, i didn’t think that sounded right… was looking at wrong article when I wrote it. Thanks for reading!